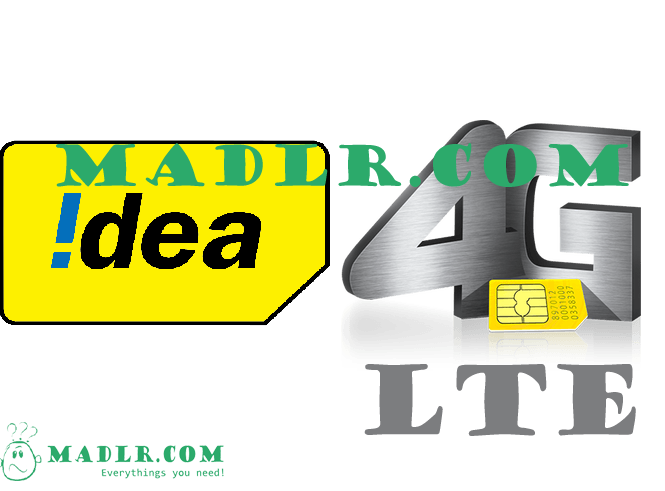 Idea 2GB 4G data offer – Get Free Internet Pack for Upgrading the Sim Card to 4G. After Jio launched it's unlimited calling & 4G internet offer other telecom companies like Idea, Airtel & Vodafone decreased it's internet and calling rates. Now idea was come with true super fast 4g internet and it will ready to boost their subscribers. They come with great idea 4g offer, Now get true 2GB 4G internet for upgrading the sim card to 4G. So, Hurry up guys because its valid for Limited time period. Here i write how to get this offer. How to get Idea 2GB 4G data by upgrading Existing Idea sim card to 4G. First you need 4G android smartphone & visit the Official idea website by using this link. Now Enter your idea mobile number and tap on submit. They will show you that Your sim is 4G enabled or not. If you are using 4G enabled sim card already then you can’t avail this. Now Fill up your pin code , City name , Address and others detail is Required. Once you fill up all the Details then Submit. It one of their Representative will call you within 1 to 3 days. They will come to your home to completes the Formality and Replace the Idea Sim card with your old sim card. Once the your mobile number Reactivate again then you will get this plan . Now enjoy 2GB True 4G data by idea. Works in Only some selected states like Maharashtra and others . Not works for already using idea 4G customers. Valid for only idea cellular Mobile users .